J.R. Logan and Ryan Zaveruha. Lucy Gellman Photos. You’re walking home down Humphrey, all the way to where it turns into Lombard and keeps going to the Quinnipiac river. Or maybe you’re taking the 223 bus and hopping off at James Street, where the road is flanked by a laundromat on one side and a big, fenced-in building on the other. Or you're taking a class at The District’s Holberton School, and feel like a lunchtime walk around the neighborhood. And because the underpass is brightly lit, freshly painted and swept up—nothing like the dark tunnel it used to be—you head right on through and keep going. That’s the not-yet-realized idea behind the Brilliant Underpass Project, a fledgling initiative from Mill River advocate, professional tinkerer and MakeHaven Director J.R. Logan and Acuity Brands Director of Engineering Ryan Zaveruha to revitalize the underpass by Humphrey and James Streets. Together, the two have started early lighting tests for the project, which would provide bright, round-the-clock lighting for at least one side of the underpass. The two are still in the early stages of funding and seeking a fiduciary agent. Both were quick to classify the underpass as a passion project—neither MakeHaven not Acuity Brands are funding the project. 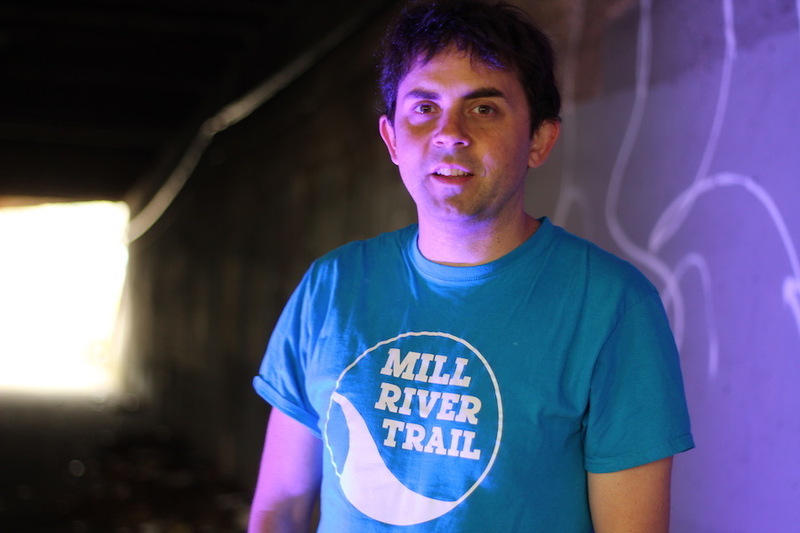 Logan, who hopes to secure funding for both sides, said he sees it as a way to foster physical and symbolic connection between East Rock, Jocelyn Square, Fair Haven and the evolving Mill River District. 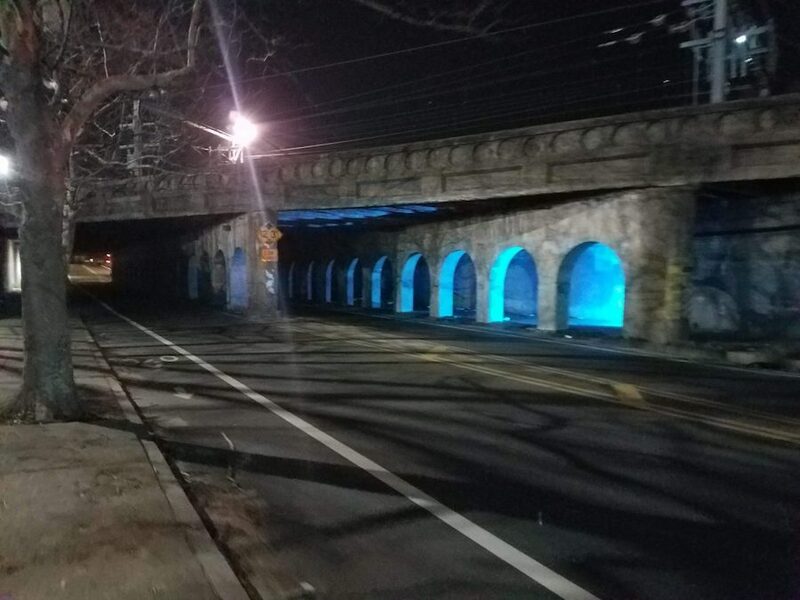 Logan has been thinking about the underpass for over a decade, since his work at the United Way of Greater New Haven brought him to the intersection of James and Humphrey Streets on a daily basis. During his time there—he started in 2008—he would walk and cycle under it, then watch as school kids did the same thing on their way back from classes in the afternoon. It’s an old piece of New Haven history: the road and lighting are maintained by the city, but the bridge belongs to Amtrak. In a phone conversation Thursday afternoon, City Engineer Giovanni Zinn described it as “a really old-school railroad bridge,” with arches separating pedestrians from cars, and a divider separating lanes of traffic from each other. To Logan, it has never seemed particularly inviting: piles of leaves and trash sit on the sidewalks beneath it, graffiti covers the walls and arches, and it remains extremely dark even in full daylight. When rain or snow hits the area, the pedestrian entrances to the underpass become icy or covered in layers of mud. Drivers speed by, often unaware that pedestrians are making their way through on the other side of a small, open wall. 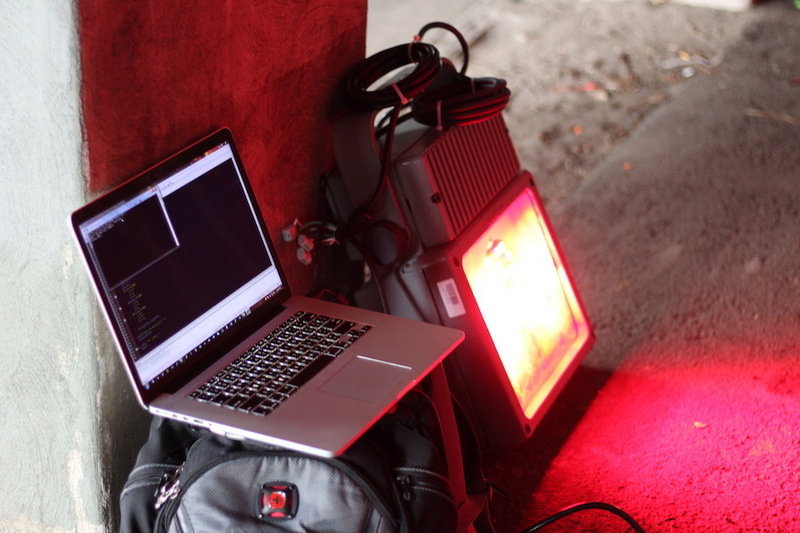 As an engineer, Zaveruha came onboard with an interest in installing high-powered, outdoor LED lights in the underpass and programming them to change colors. 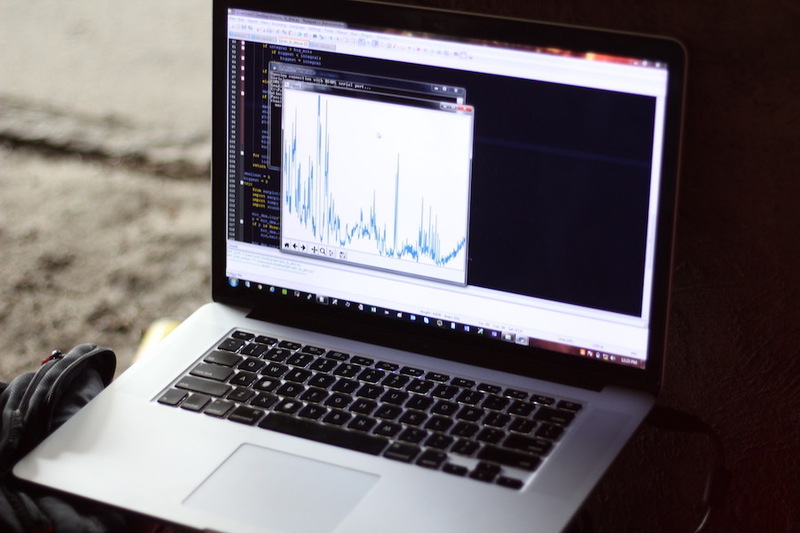 To do that, he writes code for the scripting language Python, then hooks the lights up to a computerized system. The two were particularly inspired by artist Bill FitzGibbons’ 2013 installation LightRails in Birmingham, Alabama, among others. Even in the planning phases, Logan said he would like to make the programming process totally remote, so that multiple New Haveners can program different display options, and upload them remotely to a Brilliant Underpass platform. Logan has talked to District Founder David Salinas, who expressed interest in involving students from the upcoming Holberton School of Software Engineering. Now, the two are working through a budget for the project, for which they have estimated a minimum of $24,000 per side ("It's still a rough budget and I need to get an electrician quote to make it real," Logan wrote in a follow-up to Tuesday's meeting). In addition to an online fundraising campaign, Logan said that they have tentative support from the Could Be Fund, pending more detailed plans from he and Zaveruha, as well as a second year of state support to the Elm City Innovation Collaborative (ECIC), which powers the fund. Logan also suggested that this is a good time for the project: interest in the area has been increasing since the Mill River Trail gained momentum in 2012, and continued with The District’s opening in February 2018. 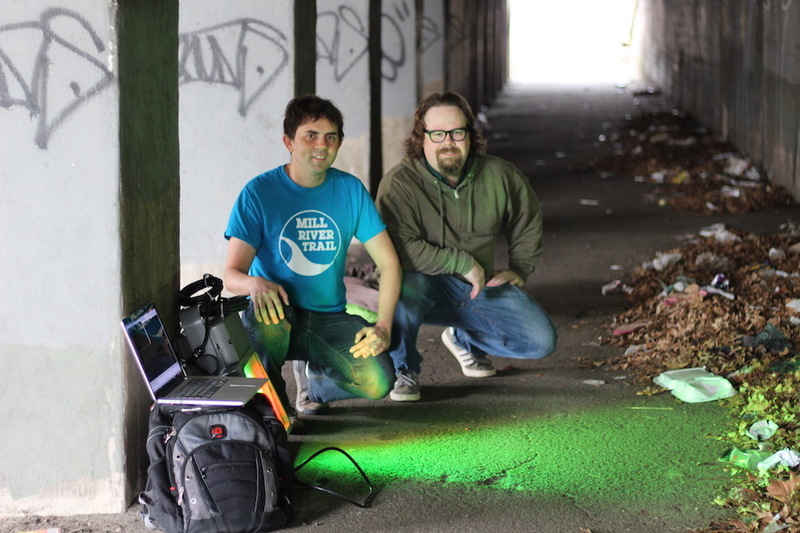 In late March of this year, the two started lighting tests, trekking out to the underpass at 11 at night to see if their idea worked. Pending both funding and the city’s approval, they plan to install lights on cement supports, to which existing lights are already bolted. He added that he is enthused about a number of underpass initiatives that have come through the Could Be Fund, which has not yet released a list of selected projects for this year. To find out more about The Brilliant Underpass Project or make a donation, check out its websiteor follow Brilliant Underpass on Facebook.